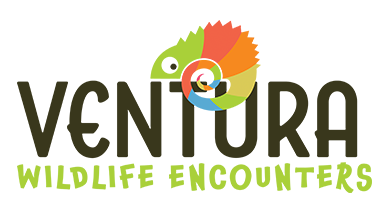 Ventura Events educational animal encounters help bring education to life and are a great way of putting learning into perspective. There is a whole range of various different talks and presentations which have been designed by our educational team to meet the needs of the national curriculum and beyond. Our educational animal encounters are excellent for all age groups and meet the demands of a variety of different education levels ranging from nurseries and primary schools through to higher level education. Ventura Events is dedicated to providing the highest standards of educational animal visits and lectures within the industry. All visits are safe and structured and led by professional educators with zoological, wildlife travel and conservation backgrounds. All of our educators are CRB/DBS (Criminal Record Bureau) checked and follow strict health and safety policy. Ventura Events is also unique as it is the only non zoo based educational animal encounter provider to be an institutional member of the International Zoo Educators Association (IZE) demonstrating our continuing commitment to offering the very best levels of expertise. Ventura Events is also involved in various real life conservation projects around the world. For total peace of mind all educational sessions are covered by our comprehensive public liability insurance and a full risk assessment. Nursery & school animal encounters provide pupils with the chance to touch, hold and learn about a fantastic variety of exotic animals and wildlife artefacts (e.g skins, eggs, horns, etc). Animals include various exotic invertebrates, amphibians, reptiles, birds and mammals. Our Educational Animal encounters start from just £150 per session* and are available for nurseries and schools based across London, the home counties and the south of England (click here to view our coverage map). 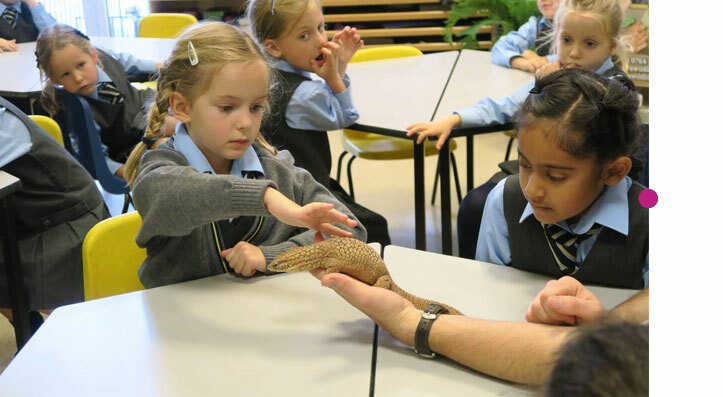 These highly interactive sessions are ideal for children to learn, touch and experience a fantastic variety of exotic animals up close whilst meeting the requirements of the national curriculum. Our experienced team can offer a variety of different educational sessions for children both age and key stage specific. From basic meet and greet encounters for younger children and those simply wanting to meet our animals, through to key stage relevant educational classroom based sessions. *Based on a one hour school visit. An additional mileage charge may apply. Further reduced rates are available for block bookings. Great for younger children. During this 30-45 minute session delve into the wonderful world of bugs. Pupils will get to meet giant snails, tarantulas, cockroaches, millipedes and even scorpions! How do animals blend into their natural environment? Pupils will learn all about camouflage during this 1 hour session and be able to answer this question with ease. Learn more about the wonderful world of reptiles and amphibians during this one our session. Your class will come face to face with a variety of snakes, lizards, tortoises and frogs. During this one hour session learn all about the importance of conserving our planets wildlife and how you can help. Spend an hour exploring the natural environments that animals call home, from the depths of the rainforest to the heart of the desert. Its a journey around the world! Spend an hour looking at how animals have adapted to live all over the world, from thick fur to keep warm through to giant ears to stay cool. Most school educational animal encounters come complete with a teachers pack and downloadable worksheets to ensure learning carries on long after our team have left. Ventura Events also provides a range of specialist higher level lectures for secondary schools, colleges and universities. These lectures are delivered using PowerPoint and use real life case studies from around the world to explore the topics in question. Each lecture is varied to meet the level of education required. Available across the UK, please note mileage fee may apply. This lecture examines the various definitions of wildlife tourism given by academics throughout the world and then goes on to explore some of the types of wildlife tourism that exist. These sessions conclude by looking at the benefits and constraints of wildlife tourism with the help of real case studies from Ventura Events and its partners. During this lecture you will learn about the importance of conserving our planets wildlife by looking at a variety of case studies. We will then examine the role zoos play in the 21st century. Madagascar is home to some of our planets most unique and unusual wildlife. Learn how tourism can have both positive and negative impacts on this island.